Once again we are proud to support the Indie Arena Booth at the gamescom. This year by suppporting a German indie developer´s participation. Path Out by Causa Creations. 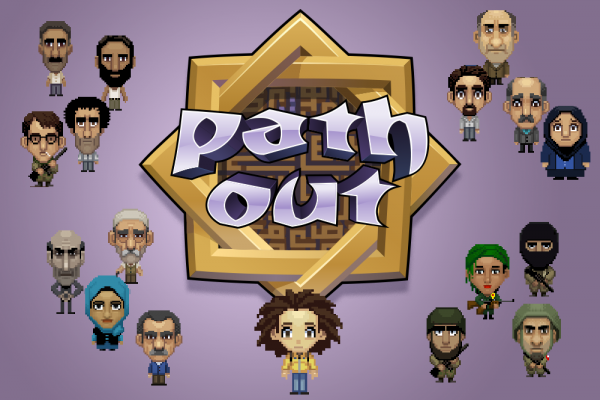 Path Out is is an autobiographical adventure game, that allows the players to replay the journey of Abdullah Karam, a young Syrian artist that escaped the civil war in 2014. Camouflaged as a Japanese RPG, Path Out is a tale full of surprises, challenges and paradoxical humor, giving insight in this real-life adventure, on which Abdullah comments through youtube-style videos in the game. Causa Creations are an indie developer studio based in Karlsruhe, Germany. Games Germany is looking forward to seeing Path Out and many other cool indie games from arund the globe at the IAB @ gamescom later this month when the global games industry meets in Cologne, Germany.